Duffy chatted with Roberto before her gig at Capital FM’s Jingle Bell Ball. She talked about what to expect from her live set, partying afterward, and answered five questions for a Christmas cake. She then opened the Christmas cracker with a question from a fan, asking about which boy from the Ball’s lineup she would kiss. Watch it via YouTube below. Duffy, who performs on ‘The Tonight Show with Jay Leno’ (NBC) on Monday. Adele, who performs on ‘The Late Late Show with Craig Ferguson’ (CBS) on Monday and ‘Last Call with Carson Daly’ (NBC) on Tuesday. Former Danity Kane member Aubrey O’Day, who visits ‘Chelsea Lately’ (E!) on Tuesday. Raphael Saadiq, who performs on ‘The Tonight Show with Jay Leno’ (NBC) on Tuesday. Anthony Hamilton, who performs on ‘The Late Show with David Letterman’ (CBS) on Wednesday. Melinda Doolittle, who performs on ‘The Ellen DeGeneres Show’ (Syndicated) on Wednesday. Aretha Franklin, who visits ‘The View’ (ABC) on Monday and ‘The Early Show’ (CBS) on Wednesday. Raphael Saadiq, who visits ‘Tavis Smiley’ (PBS) on Tuesday. The late Isaac Hayes is featured in a tribute on ‘106 & Park’ (BET) on Tuesday. Duffy, who performs on ‘The View’ (ABC) on Tuesday. John Legend, who visits ‘The Early Show’ (CBS) on Tuesday, ‘Total Request Live’ (MTV) and ‘106 & Park’ (BET) on Wednesday, and ‘The Late Show with David Letterman’ (CBS) on Thursday. Labelle, who visit ‘Tavis Smiley’ (PBS) on Friday. Duffy, who performs on ‘Late Night with Conan O’Brien’ (NBC) on Monday and ‘The Late Show with David Letterman’ (CBS) on Thursday. Ne-Yo, who performs on ‘Today’ (NBC) on Monday. Terrence Howard, who performs on ‘The Late Show with David Letterman’ (CBS) on Tuesday, ‘The View’ on Thursday and ‘106 & Park’ (BET) on Friday. Donnie Klang, who co-hosts ‘Total Request Live’ (MTV) on Tuesday. Leona Lewis, who performs on ‘Good Morning America’ (ABC) on Tuesday and ‘Live with Regis and Kelly’ (ABC) on Wednesday. Adele, who performs on ‘The View’ (ABC) on Wednesday and ‘Late Night with Conan O’Brien’ (NBC) on Thursday. John Legend, who performs on ‘TRL’ (MTV) on Wednesday. Robin Thicke, who visits ‘106 & Park’ (BET) on Wednesday. Brandy, who visits ‘106 & Park’ (BET) on Thursday. ‘Stand Up To Cancer’, airing Friday at 8 PM ET/PT on ABC, NBC and CBS, features performances by Beyonce Knowles, Mary J. Blige, Rihanna, Ashanti, Keyshia Cole, and Leona Lewis. 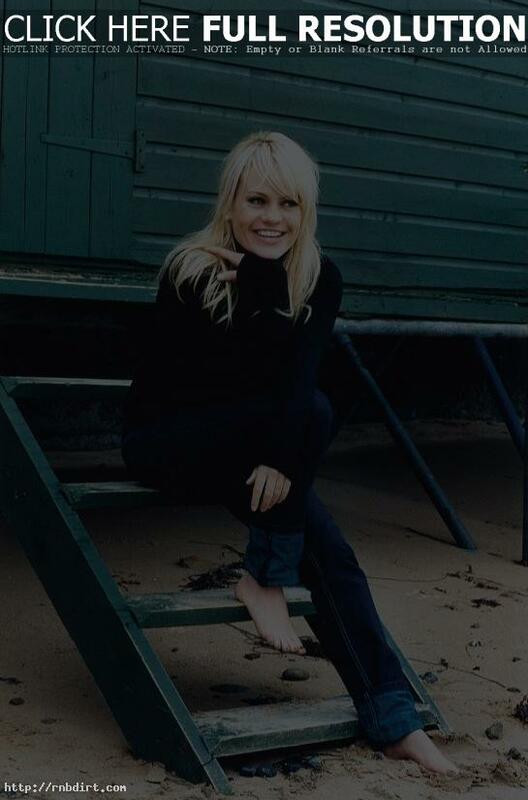 Duffy is out with the video to her new single ‘Stepping Stone’, the fourth release from the Welsh soul singer’s debut album ‘Rockferry’, out now on Mercury Records. Watch it below.